It was a beautiful experience to sing in the Lasloods on the NDSM terrein. Thanks to both the Grachtenfestival and stichting NDSM-werf for making this possible! I hope there will soon be some recording footage to post on this site. As far as I am concerned, we should find out if we can sing a whole concert in that space, at some point next year… The Lasloods has an acoustic space not unlike a cathedral, but then just less predictable. It was a feast to sing there with several voices, coming from all directions. August 27, 2010 | Categories: The Genetic Choir | Tags: Amsterdam, Grachtenfestival, site-specific | Comments Off on Lasloods forever! 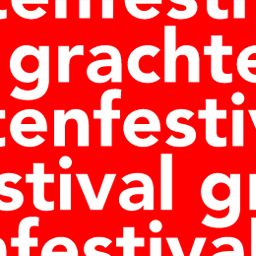 The Genetic Choir will perform on the Grachtenfestival 2010! On Saturday 21st of August, about 60 people will sing on the NDSM-werf in Amsterdam a ‘Symphony for Lasloods’. Other than just a concert, it is this time an interactive workshop/concert with a small group of the regular choir singing with the audience. This performance is part of a whole day of concerts that the Grachtenfestival is programming on the NDSM-werf.